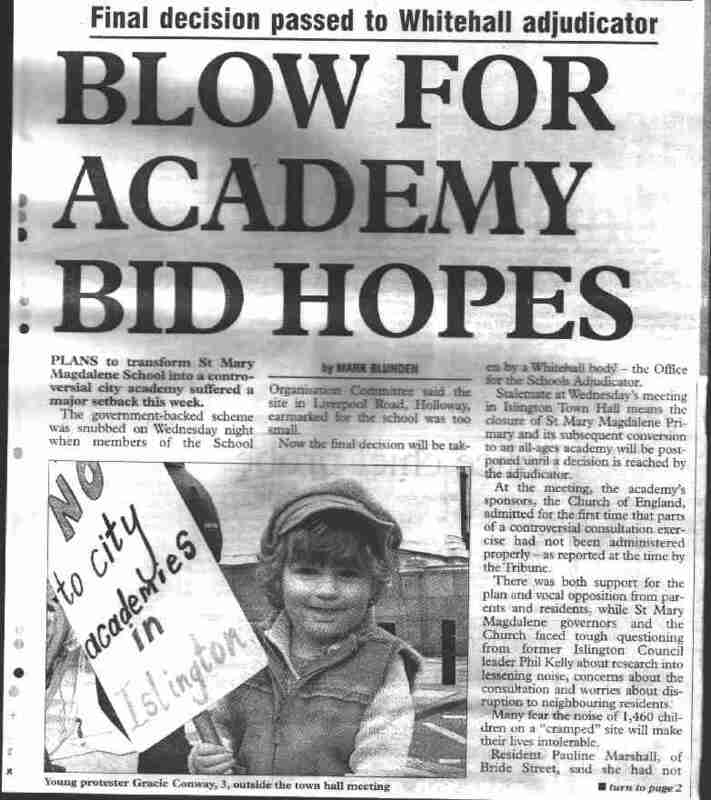 This page links to the pictures used on this site and shows some of the history of the campaign against city academies in Islington. Click on a picture to open it in a new window. Demonstration outside the Schools Organisation Committee objecting to the closure of St Mary Magdalene School. 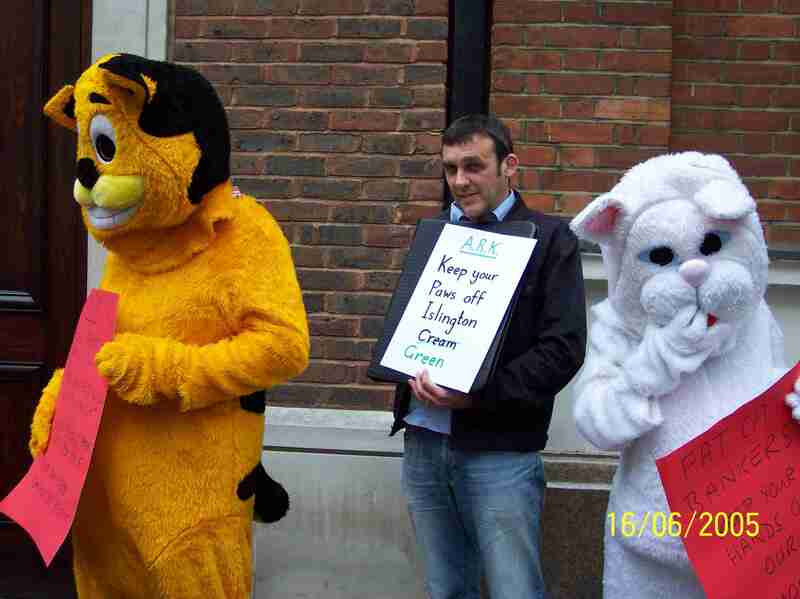 Demonstration outside ARK, formerly prospective sponsors of a second Islington Academy. 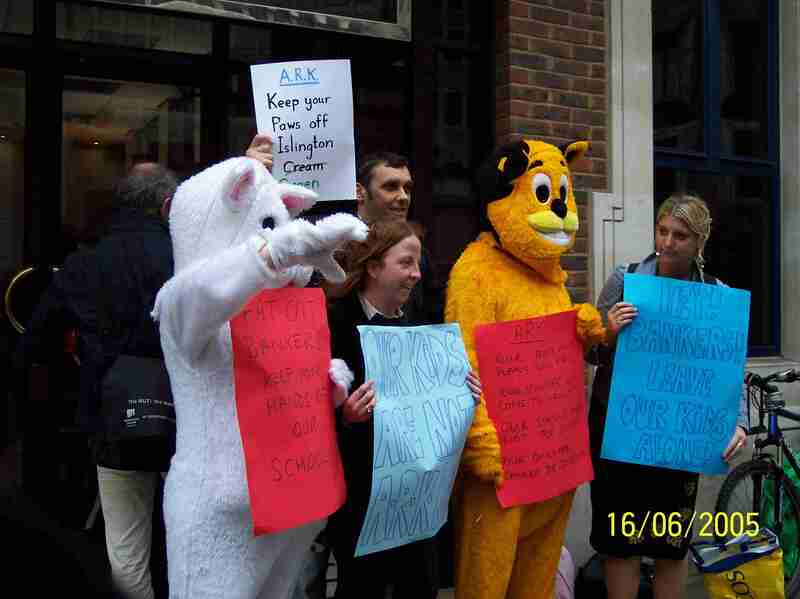 Fat Cats: Academies give state schools to private companies. 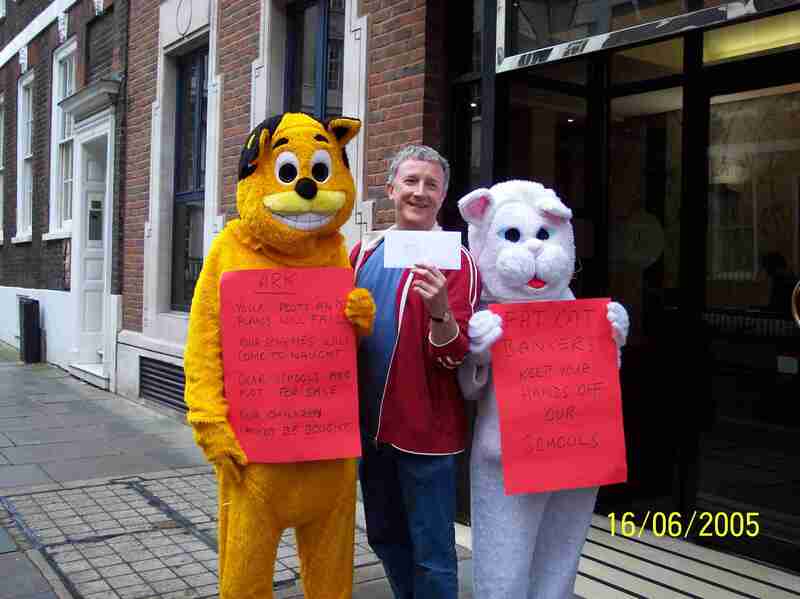 Paws Off: Teachers and parents object to their schools being given away. Leave Our Kids Alone: Islington schools have been used as political footballs for tool long.